I love reading, both for relaxation and pleasure, and as a writer. I have a whole room where every nook and cranny is filled with books (Marie Kondo would hate me 🙂 I make no apologies!) Anyway, the one thing I don’t have enough of is bookmarks. Bookmarks seem to go missing in my house. I have no idea where they disappear to but, disappear they do. And I’m certainly not the type of monster to fold the corner of a page! 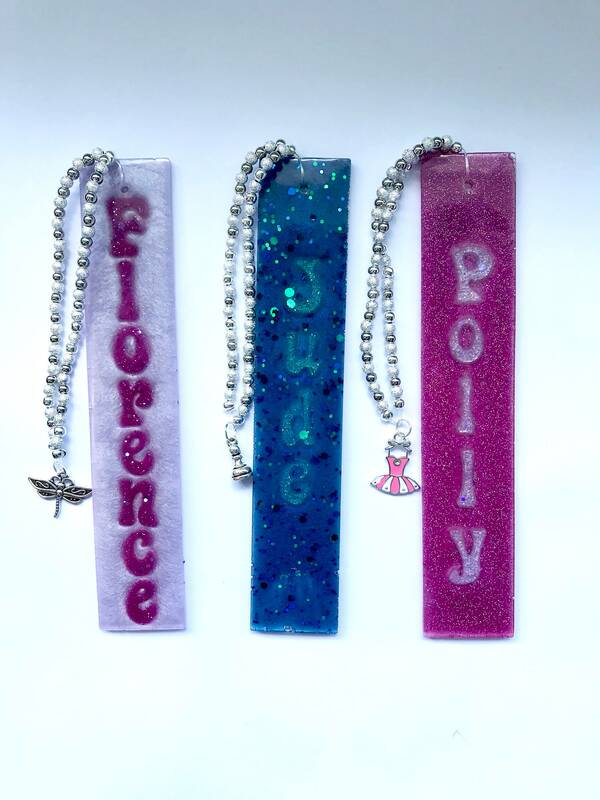 So, I decided to make a range of good quality, resin bookmarks. This is gorgeous!! 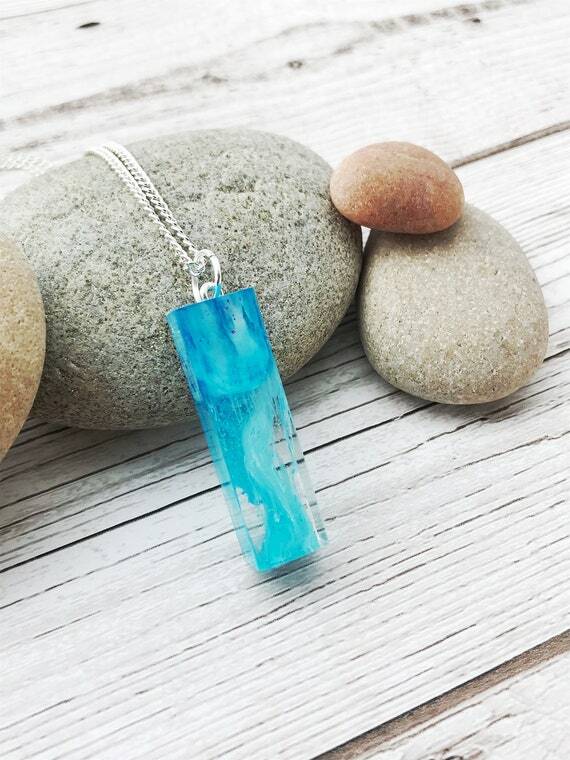 This real orchid resin bookmark is made by Nature’s Adornment Shop and costs £18.99. You can find it here. Fancy a personalised one? Look no further than Beaus Boutique Shop. These cost just £7.50 and can be found here. They cost £10.28 and can be found here. This is a simple but beautiful and elegant design. It costs £6.00 and can be found on Etsy here. 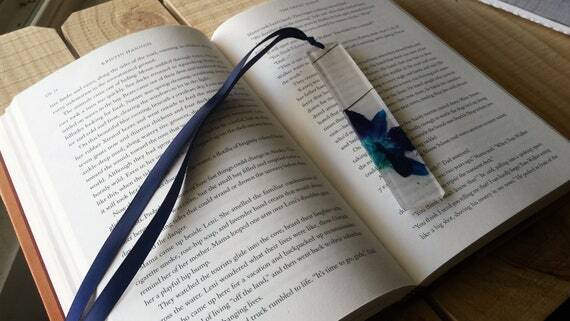 There are some beautiful bookmarks out there, why don’t you go and have a mooch? All prices are correct at time of posting. I have not been paid to advertise any of these products. How beautiful are these guys? 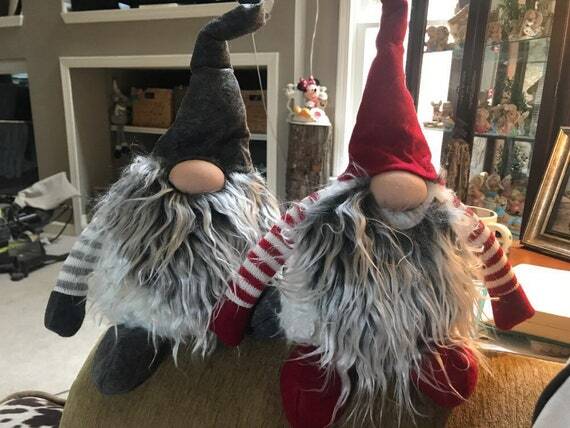 Priced at £19.33, these gnomes measure 30cm high by 30cm wide and are all unique and handcrafted. Find them here, shipping from Morocco. 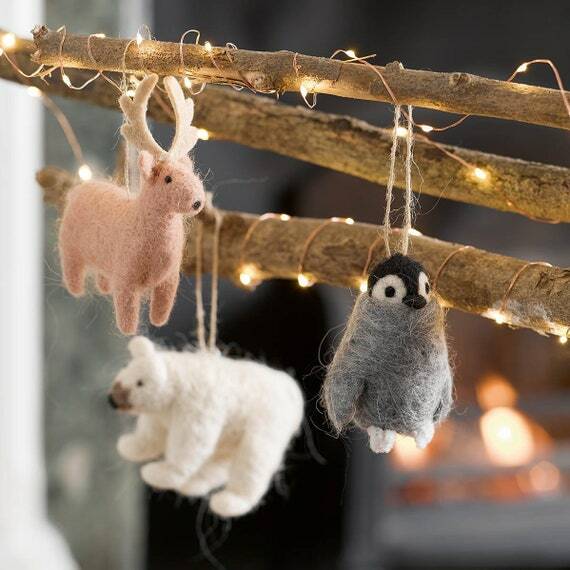 Priced at £5.85 they would look good on a Nordic tree. I love the penguin! He measures 10cm high by 6cm wide. The reindeer measures 10cm high by 11cm wide and the reindeer 10cm high by 11cm wide. The penguin is sold out at the moment but you can be put on a waiting list so, if you love them, I wouldn’t hang around. Find them here. 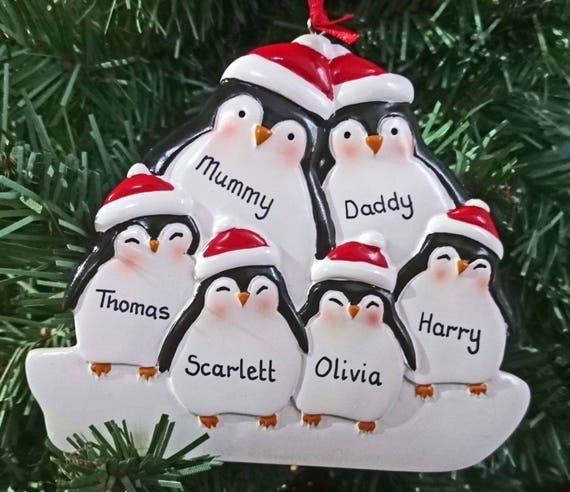 This decoration has the option for a 3, 4, 5 or 6 penguin family to which you can add any name. Priced at a very reasonable £8.99, it comes in an organza gift bag too! Other options in the sore include polar bears and snowmen. Find the penguin option here. Measuring around 3.5 inches by 2 inches, they are priced at £3.00 each and come in the above options, including my favourite with his leg and some of his head missing! Find them here. 5. Unicorns are bang on trend at the moment. 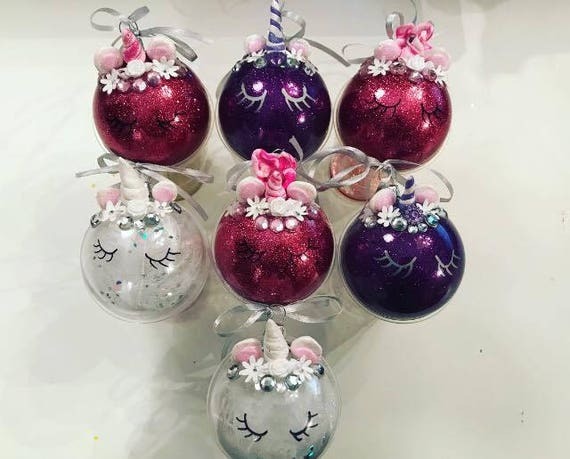 These next baubles are absolutely fabulous and are made by That Glitter Life. What little girl wouldn’t love these? To be fair, I love these!! 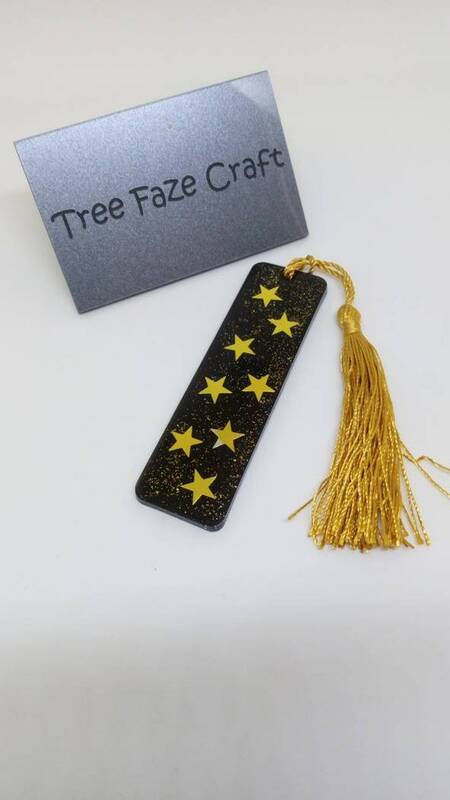 Priced at £4.95 each, they come in gold, blue, pink, purple and silver. 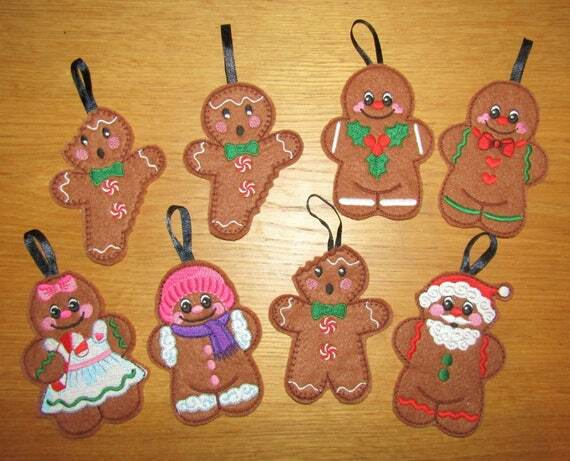 They are made from shatterproof plastic, ribbon and polymer clay. Each is made to order and lovingly embellished with flowers, feathers and diamantes. 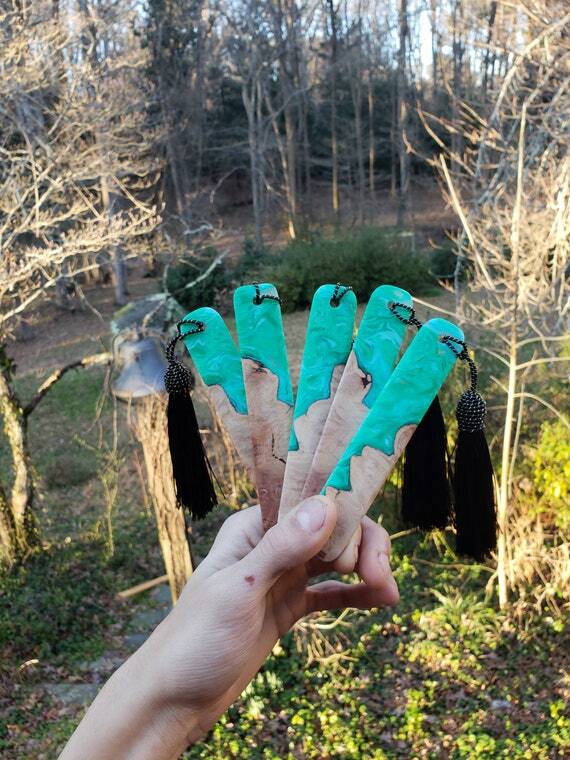 All will slightly vary as they are handmade. Find them here. I hope you like my five favourites from my browsing today. If you want something unique and handmade, Etsy is the place to go. All prices correct at time of writing. See individual stores for details. All links correct at time of writing. Featured image is from my shop, A Pocketful of Stardust, on Etsy.com. Five Beautiful Things I’ve found on Etsy this week! Etsy is an absolutely amazing marketplace for unique and handmade gifts. Today I’m going to show you five of my top picks from this week. These are in no particular order; I love them all! 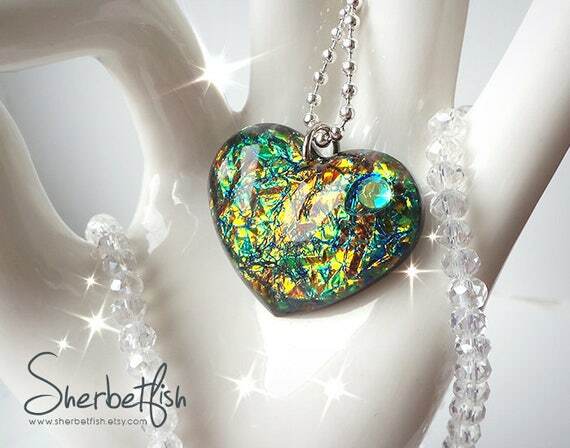 Enchanted Resin Gifts have this pendant up for sale at £10.00 on Etsy. It’s sooo beautiful. I love turquoise. It’s such a beautiful and calming colour. I love this sentiment; it resonates with me so much. Enchanted Resin is a delight to look at. The shop is full of beautiful pressed flower items. I’m so jealous. I would love to be able to make items like these but all mine turn out to be a soggy mess. Enchanted Resin specialises in wedding and memorial preservation pieces. 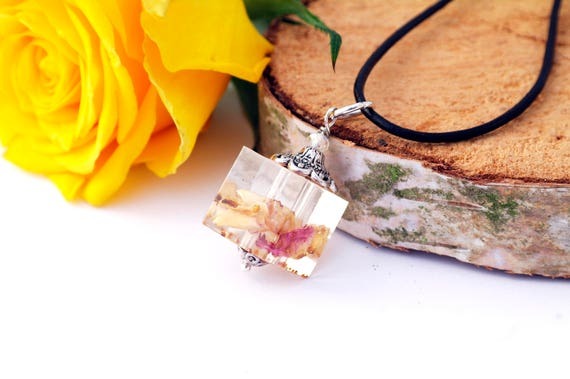 Another beautiful pendant on Etsy is this real rose petal resin necklace. By Hanna Emporium, it costs £15.00 and I think it’s an absolute bargain! Buy it here, on Etsy at HannaEmporium. Hanna Emporium is full of gorgeous stuff from dandelion paperweights to real leaf key rings and cute Forget-me-not earrings. Again, I’m really jealous of the craftsmanship and her ability to encase natural products in resin. Have a look around in the shop – you won’t be disappointed! One of my favourite shops on Etsy is Sherbetfish. Love, love, LOVE their work. Here is a Dragon Heart Necklace, available for purchase, at £10.00. Find it here, on Etsy at Sherbetfish. Sherbetfish was one of the first shops to catch my eye when I first started using Etsy. It’s a feast for the eyes with all the glitter and beautiful colours. There is a good range of delicious items from mermaid tails, to fairy hearts and a pink doughnut necklace which looks good enough to eat. 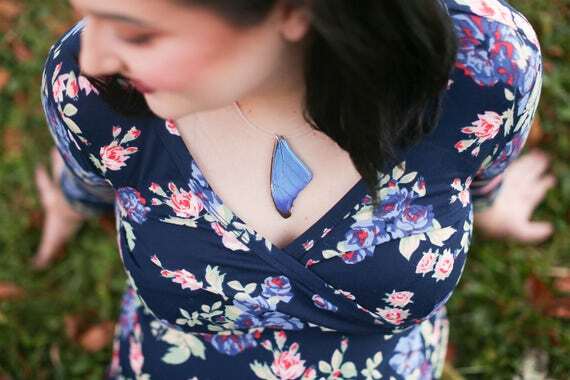 Pretty Pickle has this fabulous Morpho butterfly wing necklace for sale at £31.38 How gorgeous is this? “I’ve always been a nature lover, so combining my skill with botanicals was a natural decision for me. I started my handmade shop after many requests for custom aprons from craft shows and family/friends. I have always loved to sew and make things, so it was a natural fit for me to open a shop with my handmade goods. I’ve since transitioned to crafting botanical jewelry pieces. Combining nature and art was the best decision ever. Pretty Pickle has the most amazing butterfly jewellery I have ever seen. There’s also a gorgeous selection of botanical jewellery including a blue daisy necklace and Arrow Mustard Seed earrings. There’s also an option to buy a pendant with your birth month flower. How cool is that? 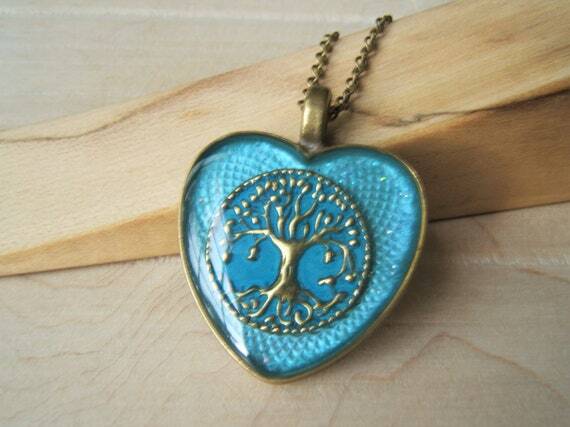 Verna Crafts has this fabulous Tree of Life Pendant for sale at £12.75. I love the blue they’ve used. That’s what caught my eye first. You can buy it on Etsy here, at Verna Crafts. Verna Crafts is full to the brim of beautiful creations from Steampunk necklaces to pagan and Wiccan jewellery. My particular favourites are the dragonfly necklaces. Take a look around her shop, it is absolutely fab. Etsy is a wonderfully vibrant place to buy from. Full of unique and inspiring gifts, it will provide you with lots of inspiration for gift giving. And with Christmas coming up, why not give it a try?